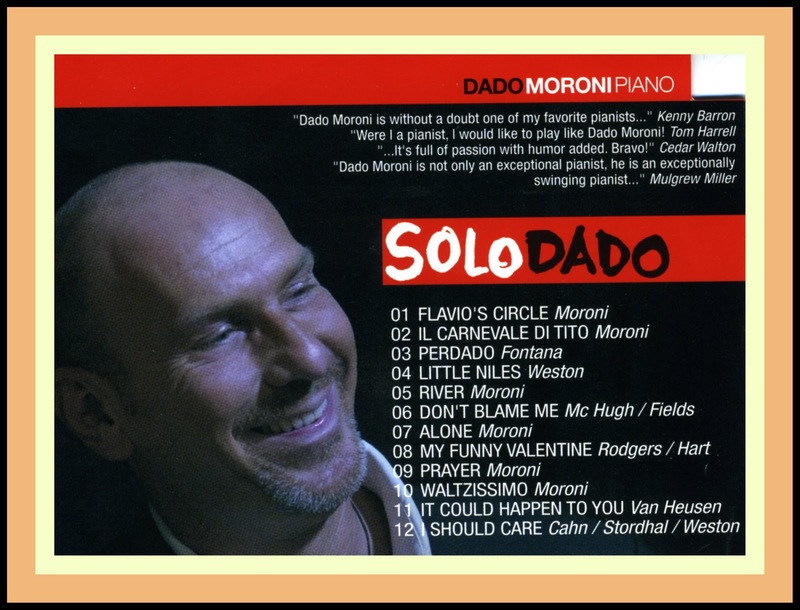 Our recent posting on Italian Jazz pianist Dado Moroni’s forthcoming Live in Beverly Hills CD on Resonance Records [RCD-1017; March 8, 2011] got me thinking about another fairly recent CD by him which has received relatively little attention. This may in part be due to the fact that the recording – SoloDado – was released on the relatively obscure abeat label which is based in Solbiate Olona, a town of about 6,000 in the province of Lombardy in northern Italy [not too far from Dado’s hometown of Genoa on the Italian coast]. No so amazingly these days, abeat has a website and has also made SoloDado available as an Mp3 download via Amazon.com, thus working to overcome one notoriously disappointing aspect of Jazz recordings produced on European labels – weak distribution. 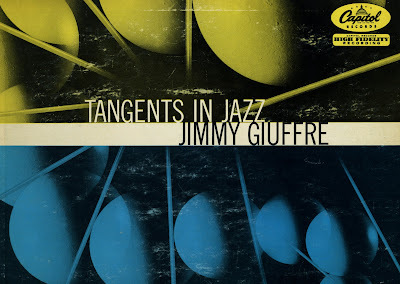 I think the other reason for the recording’s relative lack-of-attention my be due to the fact that it is a solo piano album which some Jazz listeners do not favor because all too often the Jazz pianists featured in this format tend to show-off. That is to say, being freed of the restraints of bass and drums, they are inclined to get carried away and play to impress rather than to play with purpose. 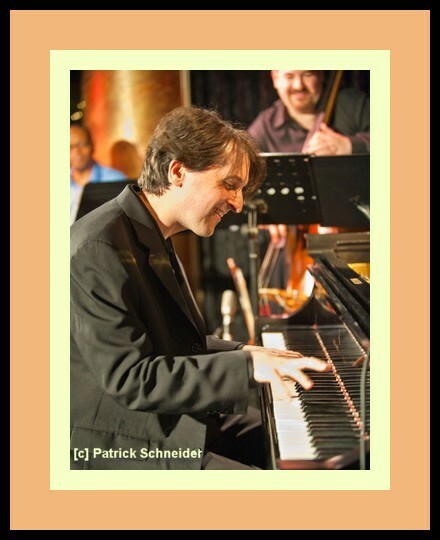 Of course, if you talk to Jazz pianists who favor a solo piano setting, they argue that they are going in a direction that they set for themselves rather than being shunted forward by the imperative of the bass and drums [many pianists are especially uncomplimentary when it comes to aggressive and loud drummers]. In order to help you judge for yourself, the crackerjack graphics production team at CerraJazz LTD has produced the video at the end of this piece that features Dado’s solo piano performance of Randy Weston’s Jazz standard – Little Niles. Ironically, as he explains in the following insert notes to the recording, it was never his intention to produce a solo piano album in the first place! Here’s how the album came about. "Perche’ non pubblichi un Cd con pezzi tuoi soltanto?" "Perche’ non pubblichi un bel Cd di tutti standards?" "Perche’ non fai un bel disco con tutte musiche italiane?" The real reason for this Cd is that, almost by chance and in a hurry, as well, I was in my friend Roberto Vigo's studio to record one song only, Perdado by Tito Fontana, to be included in a memorial concert that takes place every year, around the date of his premature passing, celebrating our dear Tito. Unfortunately when his daughter Cinzia called me to inform me of the exact date I was already unavailable, but I had the idea to record one tune to then be played in the theatre, almost as though I was actually there that evening. As soon as I arrived at the studio l immediately felt a particular affinity for the piano, a magnificent Yamaha C7, and I started recording. A few minutes went by and I had the take I wanted. It was done. I only had to get the CD with Tito's song and send it to Cinzia. But something kept me at the piano. I played freely everything that was going through my head for a good half hour, slowly coming to the realization that I could have a whole solo, piano CD. A couple of weeks later I went back to record other pieces, standards and original compositions, some of the latter being born right there in the studio. All thanks to the super Yamaha C7 piano, Roberto's mastery of sounds and the relaxed atmosphere. And the absolute absence of pressure. The tune is entitled BQE – an abbreviation for the Brooklyn-Queens-Expressway. It was written by the Japanese Jazz pianist Makoto Ozone, a frequent collaborator of vibist Gary Burton and bassist Eddie Gomez. Tamir is joined by Marco Panascia on bass and drummer Lewis Nash. This performance by Tamir, Marco and Lewis may take your breath away so please remember to breathe while viewing it. Tamir, Marco and Lewis had never worked together before George Klabin of Resonance Records brought them in to work a gig at Spazio’s in Sherman Oaks, CA. The next day, George had them over to his studio and recorded the Destinations CD. You can locate more information about Tamir on his website and at the website of Resonance Records. 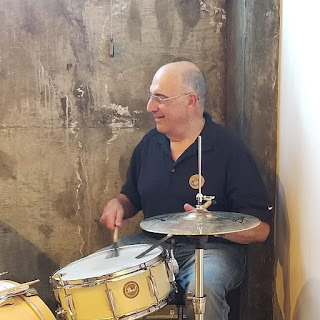 George is another example of a private entrepreneur who devotes care and love, not to mention considerable financial resources, to help Jazz and the musicians who create it continue to grow and develop. You can locate our earlier feature on George and Resonance Records by going here. Over the years, the editorial staff at JazzProfiles has had the good fortune of visiting London on a number of occasions. These trips were mostly to do with business, but usually included a little pleasure thrown in on the side. 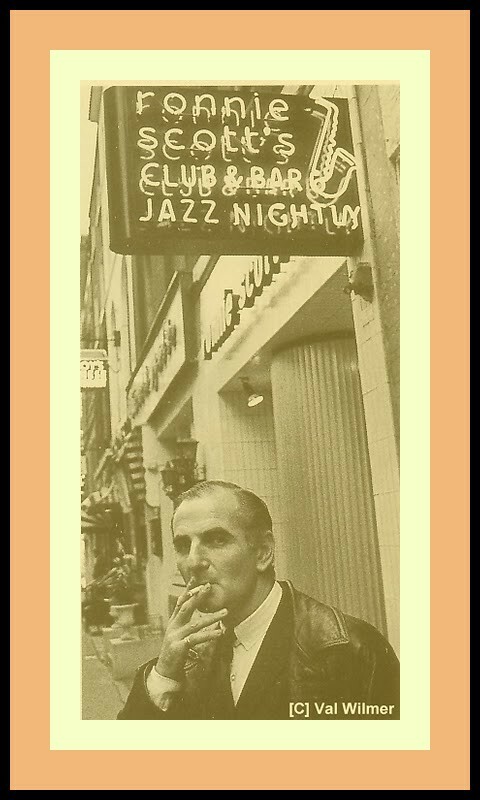 One cold and rainy night [apologies to Dickens] as we were finishing work, a colleague who was also a Jazz fan suggested that we drop-by tenor saxophonist Ronnie Scott’s world-famous Jazz Club located at 47 Frith Street in the Soho section of the city. The club opened on 30 October 1959 at 39 Gerrard Street, also in Soho, before moving to its present location in 1965. Having celebrated its 50th anniversary in 2009, it is still in operation today. My colleague had a membership in the club which provided for a reduced cover charge, a discounted drinks ticket and other privileges including an annual subscription to the club’s newsletter. He was also apparently so well-known to those granting admission that they allowed us access to the downstairs bar, a small basement room at Ronnie’s where musicians hung-out before, during and after sets. After we had settled-in, we both noticed that Ronnie Scott was there smoking a cigarette and having a drink. I gathered that my associate knew Ronnie well enough to walk over to say "Hello" ["Hallo"?] and introduce me to him. Upon meeting Ronnie, I blurted out something to the effect that I had been in his debt for a number of years. By way of background, I had studied drums in Southern California with the late, Victor Feldman. 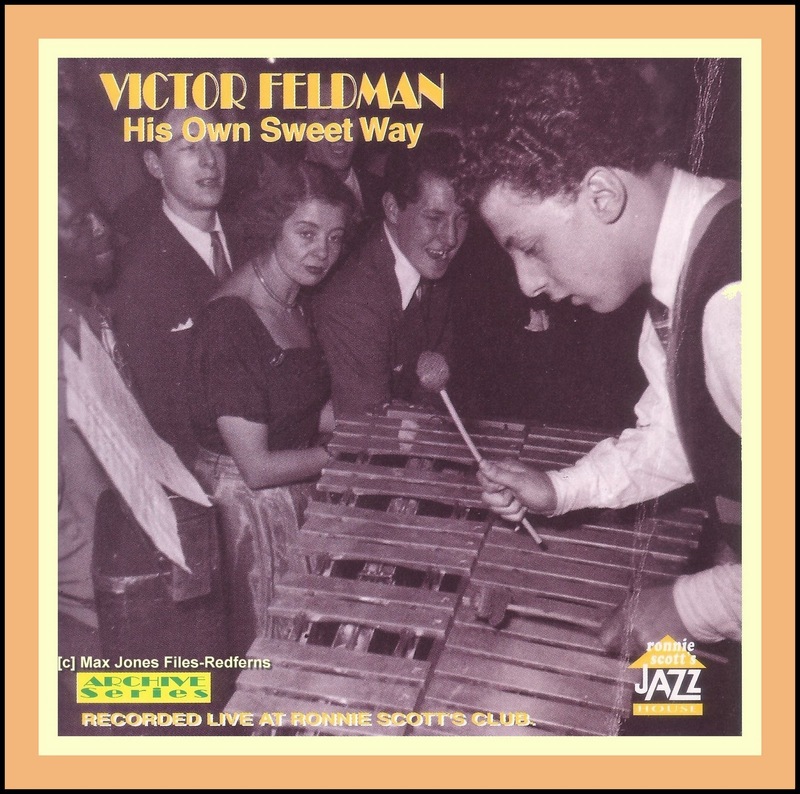 It was the beginning of a 30-year career for Victor [who died in 1987] which was marked by huge commercial success in the Hollywood studios as well as a number of artistic high points in the Jazz World including a stint with Cannonball Adderley’s Quintet, a recording session and short term gig with Miles Davis and a number of his own, excellent piano-bass-drums trios with bassists such as Scott LaFaro, Monty Budwig and John Patitucci and drummers like Stan Levey, Colin Bailey and Johnny Guerin. Nice man who did a ton for Jazz. 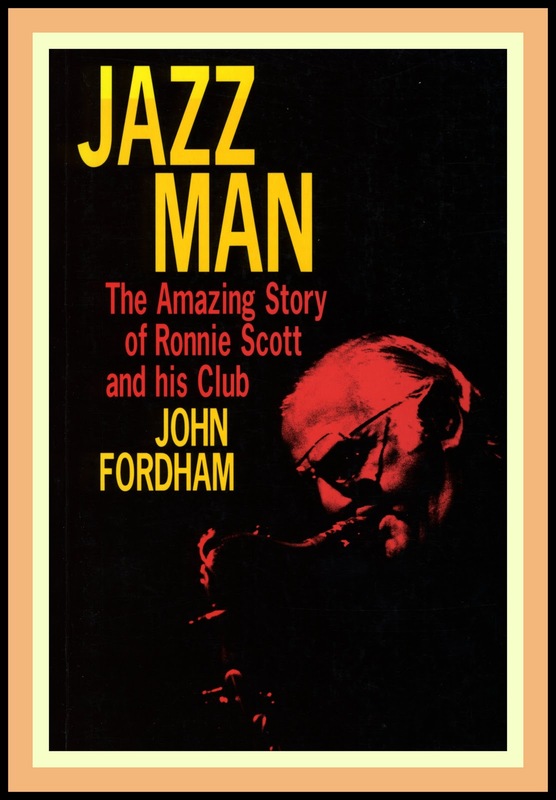 If you wish to know more about Ronnie Scott, his career in music and the history of his club, there is no better pace to start than with a copy of John Fordham’s Jazz Man: The Amazing Story of Ronnie Scott and his Club, [London: Kyle Cathie Limited, Rev. Ed., 1995]. 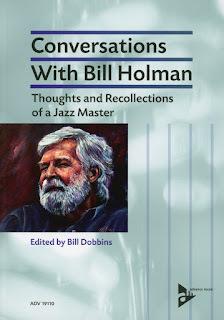 Mr. Fordham is a Jazz critic, writer and broadcaster who contributes regularly to The Guardian and he has a number of other books on the subject of Jazz to his credit. © -John Fordham, copyright protected; all rights reserved. Here are some excerpts at the conclusion of which you will find a video tribute to Ronnie Scott. The audio track is Victor Feldman’s big band arrangement of Big Top. 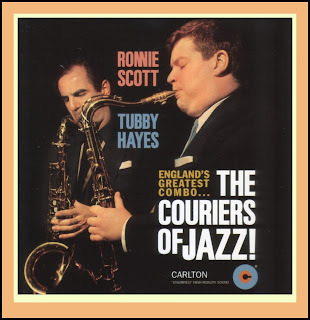 Ronnie’s tenor sax solo can be heard at 2:27 followed by Tubby Hayes at 2:40 minutes. “'Blow!' yelled Tubby Hayes. His partner Ronnie Scott launched a solo on 'Some of My Best Friends Are Blues', a mid-tempo twelve-bar blues that constituted one of his rare contributions to the art of jazz composition. The tenor was harder and more gravelly now, but zigzagging gracefully over the chords. A packed house at London's Dominion Theatre on that night in 1958 had already warmly greeted the band's breakneck opening version of Cole Porter's 'What Is This Thing Called Love? ', even though the band they had really paid to hear was still to come - the American Dave Brubeck Quartet, then at the beginning of its boom years. Hayes and Scott cut distinctly contrasting figures in the footlights. Though both were immaculate in suits - something that the sartorially pre­occupied older man had always insisted on - clothes looked as if they fitted Scott to the last thread, while Hayes couldn't help resembling a schoolboy who had borrowed his father's Saturday night special. As with most British modern jazz ensembles, nobody did anything par­ticularly demonstrative on stage. Scott would stand virtually motionless at the microphone, the horn held slightly to one side, his eyes often closed. He was restrained in the presentations on that night, slightly nervous but still registering his old familiar trademark. The headlong delivery of the Cole Porter tune had been virtually a def­inition of their style, preceding the melody with wild, nervy riffing like the sound of frantic footsteps on a staircase, Porter's original notes suddenly materialising as if the perpetrator had burst through a door. Most of what the Couriers did had that crazed momentum about it, it was sealed, hermetic, impervious, music not particularly suited to the expression of human frailties of the kind that were being poignantly articu­lated at the time by Ronnie Scott's old playing partner, the West Indian Joe Harriott, or by the Scottish player Bobby Wellins. But it had a gleeful, belli­cose appeal. On the Dominion gig, they closed an equally tumbling version of 'Guys and Dolls' with a call-and-response section that turned into a head­long unison coda, ending on a blipping high note as if someone had abruptly planted a full stop in the music. It brought the house down. The finale was a rendition of 'Cheek To Cheek' so fast that only dancing partners bound at the neck could possibly have sustained the lyric's original sentiments. Though Brubeck himself, highly impressed with Scott and Hayes, was to say at the end of the tour 'they sound more like an American band than we do', there was an unintentional irony in his remark. Brubeck didn't really sound much like an American band at all, being preoccupied with European conservatoire music and a kind of ornate, theoretical jazz. But American modernist outfits like those of Art Blakey and Hank Mobley in reality sounded quite different to the Couriers. 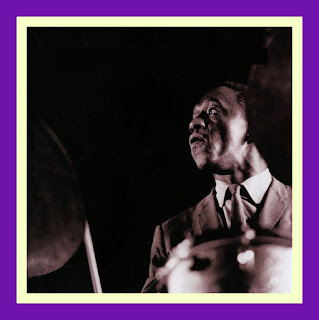 The attack of the rhythm sections was the dividing line - Blakey's cym­bal beat was restless and probing, the momentum sporadically lifted by huge, breaker-like rolls and admonishing tappings and clatterings. With underpinnings so strong, the soloists could afford to play less, and avoid the hysterical, fill-every-chink manner frequently adopted by their admir­ers abroad. Insecurities about their quality by comparison with the Americans led British bebop bands to a kind of over-compensatory pyrotechnics, like teenagers driving cars too fast to prove their mettle. The palais-band tradition was audible in the Couriers' work too, in expert but slightly fussy arrangements that sounded very close to the repertoire of a miniature dance orchestra. But the Brubeck tour of Britain was a golden opportunity for the band, and the Dominion gig - recorded for EMI as The Jazz Couriers In Concert - was a high spot of it. By the summer of 1959, the steam was going out of the Jazz Couriers. Tubby Hayes had never really stopped relishing the idea of a larger band, one that could handle the growing scope of his writing and arranging. The last date was 30 August at the City Hall in Cork. And after the demise of the Couriers, which Ronnie Scott would have continued with indefinitely if the choice had been entirely his, there seemed little enough to get excited about in the jazz world. The only versions of the music that seemed likely to attract a substantial following were the Dave Brubeck group and the Modern Jazz Quartet. They were subtle, intelligent outfits, but they didn't display that infectious creative tension audible in Stitt's band, or Miles Davis's, or the Couriers themselves on a good night. After the first tidal wave of rock 'n' roll had subsided, you could demonstrate your taste by having a recording of one of Brubeck's explorations of fancy rhythms and hybrid classicism in your collection, or the hushed, cut-glass chamber-jazz of the MJQ. They were the closest fifties jazz came to pop­chart success. Critics were divided about them. Benny Green had by this time virtu­ally stopped playing and was working regularly as a jazz critic for the Observer, a new career offered to him by that newspaper's most influential jazz fan, theatre critic Kenneth Tynan. Green was a fluent and witty writer, one of the few jazz musicians who was comfortably capable of turning the offhanded, oblique, observant and frequently macabre humour of the music business into prose. He hated the hyping of Brubeck and the MJQ and frequently laid into them in print. 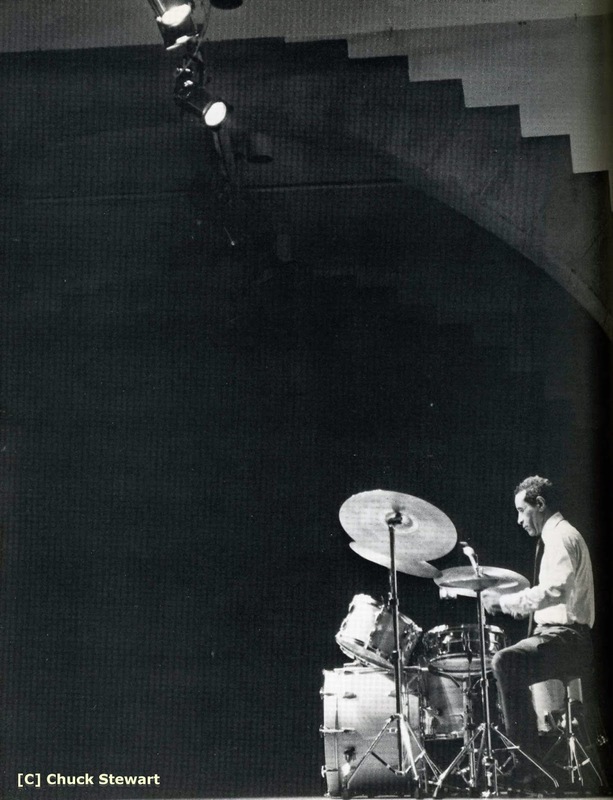 'The British jazz fan is highly con­scious of his own insularity,' Green began an article on Brubeck during the pianist's 1959 visit to the Royal Festival Hall. 'He yearns to be in the swim, so our promoters cater most thoughtfully for this desire by sticking topical labels on their American touring shows/ Green went on to describe Brubeck's popularity 'as one of the peculiar aberrations of current taste'. The Modern Jazz Quartet fared little better. Green concluded resignedly that: 'For the last five years four men have sought with painful eagerness to transform the racy art of jazz into something aspiring towards cultural respectability/ That much was undeniable. The MJQ took pains to dress like a classical chamber group, and performed with a measured and metic­ulous deliberation, for all the improvisational gifts of its four members in other settings. While on holiday in Majorca that year, Scott had a reminder that maybe running a club could simply be fun (which was all he'd ever really asked for) and an opportunity to make a little money, present musicians he admired, and have somewhere amenable to play. He met a drummer and club proprietor called Ramon Farran, who was the son of a Catalan band­leader and had married Robert Graves's daughter Lucia. Through Farran, Scott came to meet the writer at Canellun, the house that Graves had built in the picturesque village of Deja in 1929. The poet broke the ice by simply enquiring: 'What's the pot situation like in London now?' He turned out to be fascinated by jazz, had even acted as patron to unconventional artists like Cecil Taylor. Scott was in turn fascinated by Graves and a little dis­comfited by his circle too. They had all read so much, and they were so funny, but with a sense of humour impenetrably dependent on knowledge and an education Scott hadn't had the benefit of, not the wisecracking, fatalistic, self-defensive shield against fate that came from a childhood on the streets of the East End. They got on well. Scott spent a good deal of time walking and swim­ming with Graves. He was astonished by the old man's boundless energy, springing up the steep slope from the sea to the house like a gazelle. The breakthrough was an accident, of course. Jack Fordham, the Soho entrepreneur, had lost interest in the Gerrard Street premises that Scott and King had occasionally used for their own jazz presentations. Fordham's principal living came from the hamburger joint - one of the first - he ran in Berwick Street. Eventually he offered 39 Gerrard Street to Scott for a knock­down rent. 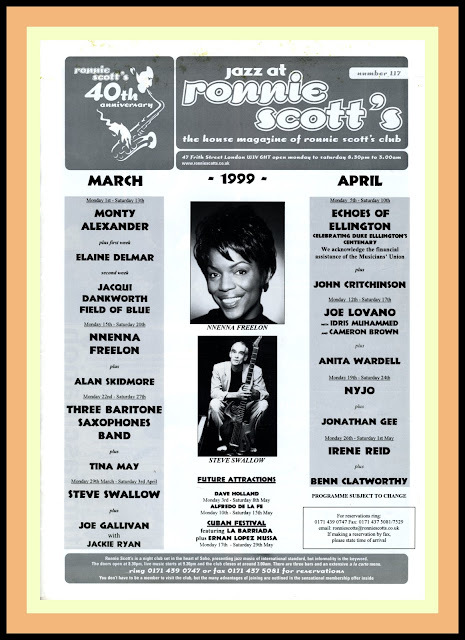 It became Ronnie Scott's first club. Pete King - who like Benny Green had by now realised that he needed to choose between a playing career and something more promising - was almost entirely involved with promotion, partly on his own account, and partly in association with Harold Davison, and worked out of his own Soho office. 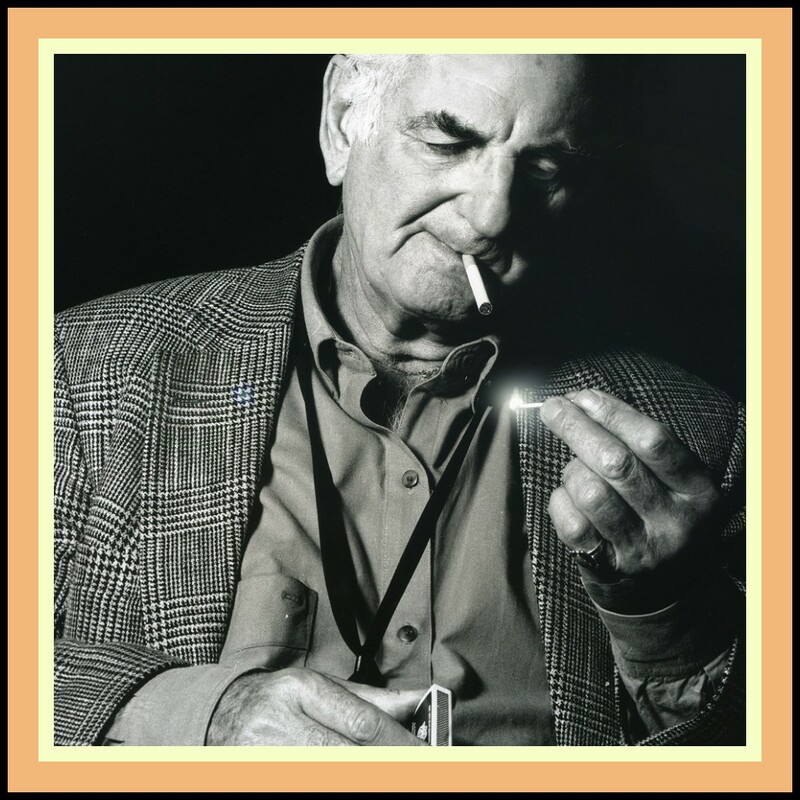 He caught Ronnie Scott's enthusiastic conviction that this was the moment they'd been waiting for. Then Scott went to his parents to ask for help and got a loan of £1000 from his stepfather to get the ball rolling. Sol Berger was by this time a successful partner in a textiles company, and he willingly bought a stake in his step-son's club. Number 39 Gerrard Street had nothing but space and not very much of that. The two would-be club proprietors went to the East End in search of cheap furniture and bought a job lot of chairs which they arranged in aus­tere lines in front of the bandstand. Pete King's father-in-law, a Manchester carpenter, came down to help build a few rudimentary tables. Then there wouldn't be room for dancing, so it was going to have to be a venue for fans who really wanted to come and listen. There was no liquor licence and the best the establishment was likely to be able to provide was tea, for years sta­ple fuel for the Archer Street metabolism (the two men had established a lifelong 'tea bag connection' with a Chiswick wholesaler), coffee, and maybe a hamburger. 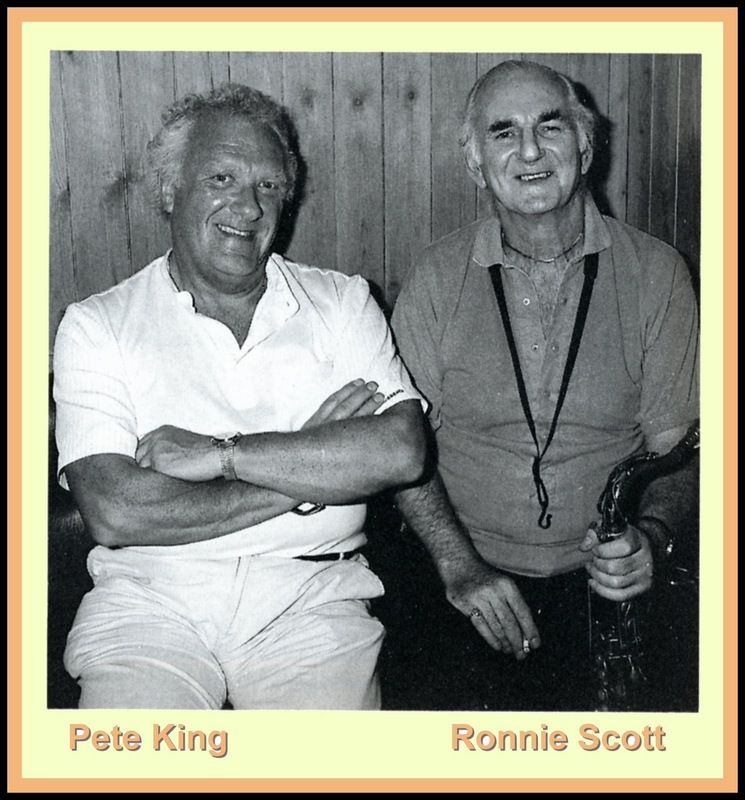 From the start, it was an unspoken agreement that the front man would be Ronnie Scott and that the club would bear his name, though King was crucial to the graft of administration even then, and would become the dif­ference between survival and collapse in later years. King's commitment was total, and Stella was obliged by the working hours to bring up their two children almost singlehanded. But to King, Scott was the unchallenged star. Someone had to embody the club in the eyes of the jazz public. Scott was the most highly regarded modern jazz musician in Britain, apart from Tubby Hayes, and his reputation was something money couldn't buy. 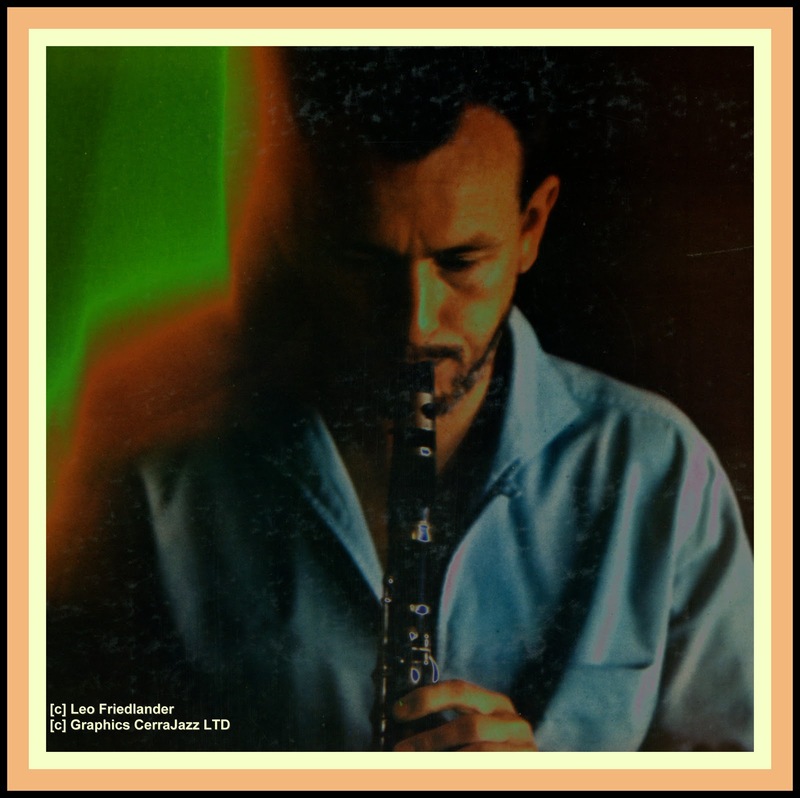 The London modern jazz world of the late 1950s was a limited market and for the new contenders in it, the lie of the land was not so difficult to gauge. In Wardour Street, a stone's throw away, was the Flamingo, already in existence for two years. The old Studio 51, which opened after the Club Eleven's demise, had started life with a modern jazz policy but by 1959 was presenting revivalist and traditional music. As for the amount of music you could reasonably expect to present and still come out ahead, Saturday night audiences were good and Sundays passable, but weekdays were graveyards. Eddie Thompson, Stan Roberts, Spike Heatley. 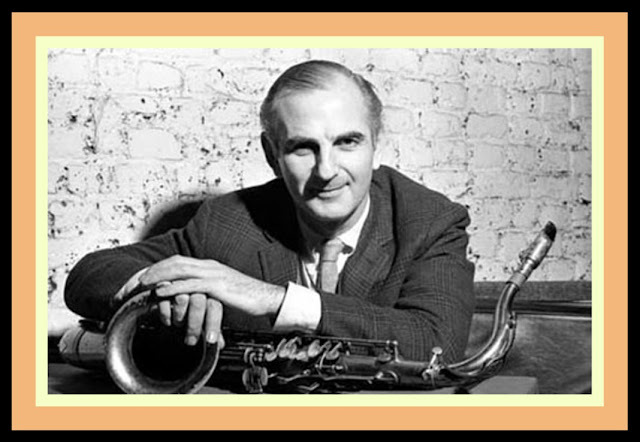 an old tenor saxophonist, Ronnie Scott. relief of Mafeking by Jack Parnell. Membership 10/- until January 1961. The entry concluded boldly: 'The best jazz in the best club in town' - Ronnie Scott having learnt from the American example that you didn't lose any­thing by excess. If the punters didn't agree they could always vote with their feet. It was a gamble, but Ronnie Scott came from a long gamblers' line. 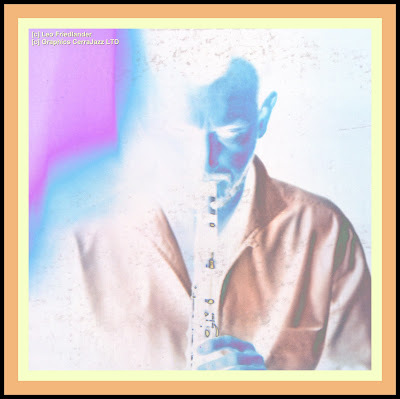 Scott and King had opened the proceedings with a shrewd mixture of attractions, a blend of the new and the familiar intended to cut across as many of the modern jazz persuasions as possible. Hayes was a sure-fire cert, of course, and would be appearing with the Couriers' old pianist Terry Shannon, and with Phil Seamen on drums and a brilliant new bassist, Jeff Clyne, who had played on the streets of Edgware with Ronnie Scott's step­sister Marlene and who had revered the local heroes, the Feldman brothers, on those same streets. As for the reference to the 'young alto saxophonist Peter King', this was not a gag at his partner's expense but introducing a sensational new arrival on the scene, a thin anxious-looking nineteen-year-old from Tolworth in Surrey, who had been playing for just a little over two years and already demonstrated his intense admiration for the work of Charlie Parker - King's speed of thought and richness of resources were close to rivaling Tubby Hayes even then. 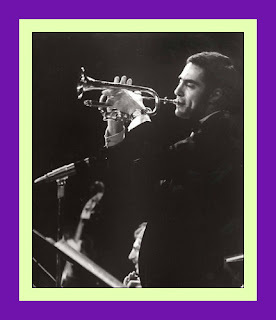 The newcomer's preoccupation with Parker extended, as Benny Green observed, to his small-talk, which consisted almost entirely of analyses of the structure of various Parker solos. In the press, Peter King was modest about his achievements. He said he was 'limited both technically and musically. But I can feel something com­ing.' In fact, as the more discriminating of local observers immediately realised, King was virtually there. He was already one of the few British interpreters of Parker's methods to execute the complexities of bop with an air of ease and relaxation. This was not so much discernible in the young man's demeanour onstage (his eyes would be downcast as he played, his legs splayed and knees bending with the beat like a man who had spent a long time on horseback, and he perpetually looked nervous) but in the flu­ency with which streams of new melody tumbled from his horn, and the momentum of his rhythmic attack. King had never served an apprenticeship in one idiom and then switched to another. He was a modernist through and through. His very existence was a testament to the value of the players of Scott's generation having made those pilgrimages to New York and spent those long hours in Carlo Krahmer's studio listening to imported 78s. They had built a spring­board for new players that would make possible a conclusive rejection of the inferiority complex that British players had about their jazz. 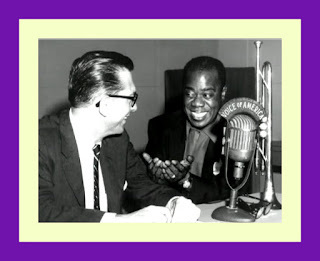 The first gig also featured Eddie Thompson, a pianist whose ideas absorbed swing music, bop, the majestic 'orchestral' jazz pianists like Art Tatum and Duke Ellington and a good deal of classical music too. In fea­turing Thompson, the club was opening with one of the finest keyboard artists in the land. It was an evening of magic. Scott and King had already set themselves several dates that they had eventually missed and the club wasn't really ready for business even on that memorable occasion of 30 October 1959. There were shows every night of that weekend; in the daytime frantic efforts were made to improve the place. The club was packed with musi­cians and friends. Ray Nance, Duke Ellington's trumpeter who was returning to the States after the band's European tour, dropped in on the Friday night to wish Scott luck. It became obvious that the all-nighters were such a magnet for after-hours players looking for somewhere to blow that the club began to charge them 2/- for the privilege, a state of affairs that caused a certain amount of hurt surprise. 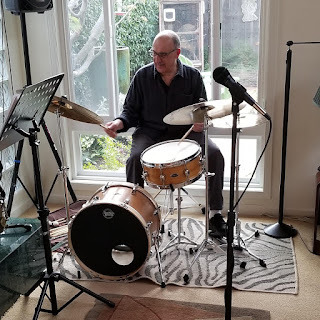 In addition to presenting the top names of British modern jazz, Ronnie intends to feature promising young musicians at the club and Friday's guest stars included the new alto sensation, Peter King. Word of mouth was the publicity machine for the most part, apart from those little ads in Melody Maker. Scott devoted himself to making a minia­ture art-form out of them in the hope that people would seek them out, promising anything he could think of. He would claim that the club would be featuring an unexpected joint appearance by Sir Thomas Beecham, Somerset Maugham and Little Richard. He would promise food untouched by human hands because the chef was a gorilla. The place caught on. Visiting musicians from abroad, increasingly prevalent in Britain as Harold Davison and others staged more and more concerts that would tie into existing European tours, were to be seen in Ronnie Scott's, which added to the glamour of being there. There were, after all, few enough places in any town where such a rare bird as a jazz musician could truly feel at home. The drummer Shelly Manne, in London with one of Norman Granz's 'Jazz At The Philharmonic' packages, even returned to the States to open a club of his own after having spent some time absorbing the atmosphere at Gerrard Street. That the place was run by musicians was already promising to be a considerable benefit. Even though Scott and King were not in a position to pay big money, they were in the same business as the professionals they were hiring, and they were honest. Players didn't suffer the crippling paranoia, fleecing and all-round disrespect that often characterised relationships between jazz musicians and promoters. Two problems were soon apparent. The first was that there was a law of diminishing returns about presenting British jazz players - even the very best - night after night. Scott and King soon felt the draught of this diffi­culty. They ran the establishment on a simple principle, based on a consul­tation with the rudimentary accounts at the end of each week. If there was enough in the kitty to pay the artists and the rent for another week's work, it meant the place was still open. The second snag was the absence of a bar. Scott and King looked into the formalities and the regulations were complicated. If you were going to serve alcohol, you needed a 'wine committee'. Ronnie Scott and Pete King formed two-thirds of the wine committee and asked Benny Green to be the third, being a literary man and a correspondent for a high-class newspaper. Green duly travelled to Wembley police station to make a statement as to why Ronnie Scott's Club wanted to make a public nuisance of itself in this way. 'What is the purpose of this club?' asked the station sergeant wearily. 'It's to try to get rhythm sections to play in time,' intoned Green, straight-faced. The sergeant dutifully took it down word for word. The club's liquor licence was also dependent on providing some form of emergency exit in the case of fire. It was rudimentary enough, and fortunately never had to be tested, being simply a metal ladder that extended upstairs into the hallway of the Jewish garment manufacturer above. 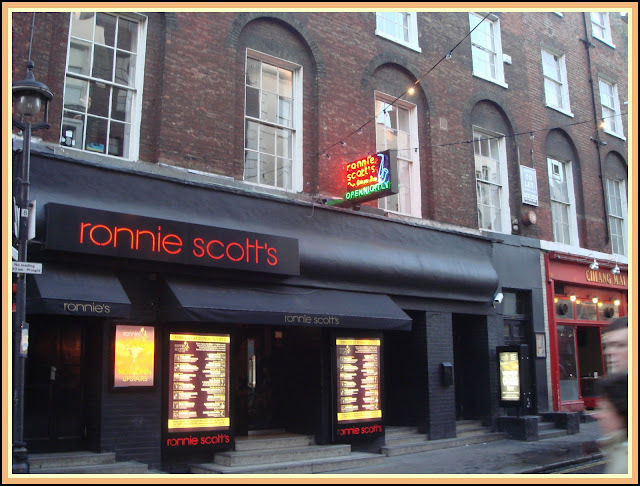 Relationships with that estab­lishment were mixed during Ronnie Scott's tenure in Gerrard Street. Early on it became apparent that Scott and King were going to be no orthodox club-owners. Scott's guiding philosophy, as it had been back in the days of the nine-piece, continued to be that if you could get a laugh out of it, it couldn't be all bad. The word soon got around. Here was a place where all of the misfits and square pegs of a square mile of London dedicated to the entertainment of the normals by the weirdos could relax in congenial company - like writer Colin Maclnnes, a deep devotee of jazz and friend of Denis Rose, like actor and playwright Harold Pinter. A man called Fred Twigg attached himself to the club, and became its odd-job man and cleaner. He took to sleeping on the premises, which worsened a chronic condition that Twigg lived with - apparitions. He often complained to the proprietors of flying creatures and gorillas that frequented the establish­ment at night. And in those early days, the club unexpectedly became an actors' studio as well. Ronnie Scott had known the actress Georgia Brown from the East End, and she suggested to him that the Gerrard Street cellar would be perfect as a daytime rehearsal room for an actors' company. The company turned out to involve the likes of Maggie Smith, George Devine of the Royal Court Theatre, Michael Caine and Lindsay Anderson. (Ronnie Scott fell unrequitedly in love with an actress called Ann Lynne and visited the Royal Court night after night to watch her in performance with Albert Finney.) Scott and Benny Green found the rehearsals irresistible. They both took to standing behind the tea bar for hours, endlessly making lemon tea for the labouring thespians and eventually found their own communications with others helplessly enmeshed in fake stage-speak. 'What dost thou fancy in the 4.30?' Scott would enquire of Green. One of the rehearsals involved George Devine donning an elaborate mask, and demanding that the actors guess the emotion expressed by his body-language only. Devine went up to the street to prepare, and promptly vanished. It transpired that the passing citizens of Soho had concluded from Devine's mask that exotic fetishistic pursuits were going on downstairs, and had mobbed him. Devine eventually tore himself away and fled inartistically down the steps. 'Fear!' promptly supplied the members of the actors' company on the appearance of the master, still sticking to instructions. Throughout 1960, the difficulty of sustaining an audience for the local musicians continued to nag at Scott and King. The Musicians' Union ban had stopped being unconditional two years previously and international artists regularly came and went. But residencies, the maintaining of an imported star in a British venue night after night for a week, or a month, had not been considered. King, who still worked with the now highly suc­cessful impresario Harold Davison, knew that the latter would not be keen that his protégés step on his territory. But King also knew that things could not go on as they were. He began at the British Musicians' Union, with the assistant secretary, Harry Francis, who was amenable to the idea of a new arrangement that would suit the requirements of a specialist nightclub. If the exchange of artists would be one for one, Francis was convinced that the request would go through on the British side. King turned his attention to the real nub of the problem. Since the 1930s, James C. Petrillo of the American Federation of Musicians had effectively battened down any form of trade in musical resources likely to cause loss of earnings to his own members. Petrillo (nicknamed 'Little Caesar' because of his stocky, pugnacious, Edward G. Robinson-like demeanour) was a man with a straight-shooting style of negotiation that made him a formidable opponent. The American Federation's policy had grown out of far leaner years than the 1950s and King, as a musician himself, was generally sympathetic to the union's orig­inal position. Its inflexibility from the mid-fifties onwards was principally fuelled by the attitude of the British Musicians' Union, which was con­vinced that American members would receive far more attractive invita­tions to Britain than the other way around. King reasoned that if jazz musicians were the Cinderella’s of the profession already, it was short­sighted now that times were not so hard to turn down a policy that might further the public's interest in the music generally. Scott and King needed to pick their first guest, then worry about the bureaucracy afterwards. 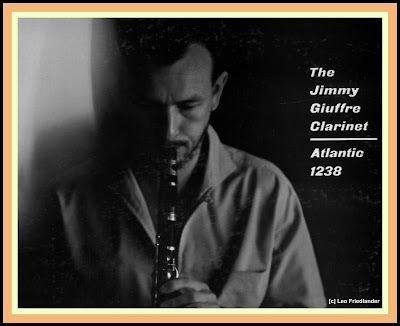 They chose Zoot Sims, a one-time partner of Stan Getz in the Woody Herman band and a player with much the same lyricism and raffish elegance as Getz but with a more robust and muscular delivery. Sims was popular at the Half Note Club in New York, an Italian family business by the Cantorino brothers, with a reputation similar to that of the Scott club in London for presenting good music to audiences that cared about it in an atmosphere conducive to relaxation and inventiveness. Sims accepted readily. Zoot Sims was a delight. After his first show, the proprietors of London's new international jazz club sat bemused in their locked up premises, counting the hours until they could hear him play again. 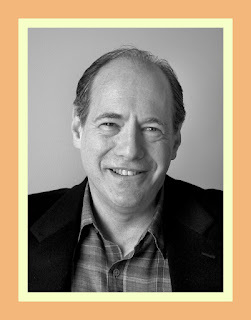 For Scott, who had probably already subcon­sciously decided that a policy of booking practitioners on his own chosen instrument was going to be one of the principle ways he would enjoy being a promoter, Sims was a definition of the modern jazz musician who was still functioning wholeheartedly and pragmatically in the world everybody else had to live in. He had a lot in common with Ronnie. He had been a teenage saxophone star in a showy jazz orchestra, the Woody Herman band. He was an unpre­tentious, unaffected, music-loving enthusiast. He knew jazz history. And he always played the music as if he enjoyed it. Sims was the kind of player who could have thrived in just about any sort of jazz band of the previous forty-odd years. Sims delivered his easy-going swing and gentle rhapsodising through­out the month of November 1961 to thrilled audiences at the club. A casual, fresh-faced man, Sims would play without demonstrativeness, holding the instrument still. His opening bars would establish the tune with the direct­ness and confidence of a player completely at ease with his raw materials, and much of his appeal was founded on the manner in which his sound exhibited both confidence and a heady lightness, as if he were performing a graceful juggling act in slow motion. King arranged a short tour of out-of-town venues for Sims, and the proprietors presented him with a silver brandy flask after his last performance. Other local musicians donated such peculiarly British gifts as copies of Goon Show records. In an interview, the usually unforthcoming Sims declared he was delighted with playing in London, since the intimacy of a club gave him the opportunity to relax. 'It reminds me of the Half Note,' Sims said. 'The atmosphere is warm and it's an easygoing place. Musicians like it. It has the same kind of management.' Sims added that he'd like to see Ronnie Scott play in the States. 'It depends on his confidence,' the American accurately observed.